Just putting them here because I was looking for them but couldn’t find an easy way to get them from the internets. BTW, that is a really good book and you should buy it if you’ve been looking for a good book about programming PHP: PHP for the Web: Visual QuickStart Guide (4th Edition) . Also, PHP and MySQL for Dynamic Web Sites: Visual QuickPro Guide (4th Edition) . And thanks, Larry! Your books/site are very helpful to me while learning PHP. GPG4Win is a free software suite and includes an implementation of Gnu Privacy Guard for Windows. Using GPG on Windows at the command line is also possible, though more complicated than doing so on Mac/Linux systems. A Practical Introduction to GNU Privacy Guard in Windows is one description of doing so, written in 2005. Installing and configuring PGP in Windows, (Windows 7). GPG command-line on Windows, some tips from a tech forum, including VBscripting. GPG on Mac OS X can be done either at the command line, or with a GUI front-end. In either case, software must be installed as Gnu Privacy Guard is not part of the OS X installation (it is included in virtually all Linux distributions, though). GPGTools is a software suite that includes an OS X port of GPG as well as related tools for using GPG with a GUI interface in OS X. See Quick Start Tutorial after running the GPG Tools installer. The GNU Privacy Handbook is an official document of the GPG project and provides comprehensive description of GPG commands as well as some discussion of GPG and public key concepts. Gnu Privacy Guardat the Command Line Mac blog. Paul Heinlein’s GPG Quick Start started out as a quick introduction to using GPG at the command line. GPG on Mac / Linux on the Pastebin.com site. 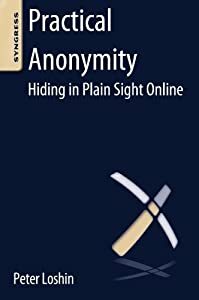 Referenced by the GPG official site, the GPG Mini-How-to covers much the same ground as the GNU Privacy Handbook, but more succinctly. 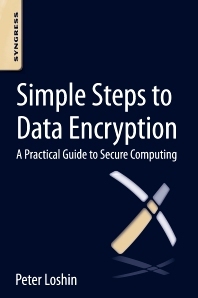 Notes for using GPG to encrypt and decrypt backup files, another set of notes about the process of using GPG to encrypt and decrypt backup files, with scripts. For more advanced uses. I guess it’s pretty obvious that I’m interested in learning the basics as well as how to best use Git for writing projects (though I definitely need to use it for programming projects as well). Any time you want to be able to keep track of all the aspects of a project, particularly to be able to roll back the state of a set of files to a previous version, you want to use version control software of some sort. This type of application is particularly important to software developers of all types, but I believe it can be very useful for non-programmers who need (or want) to keep track of what they’ve been doing over time in various projects. The most fashionable of the version control systems available these days would have to be Gitwritten as a set of small utilities that can be plugged together to do everything necessary to version control. It’s also distributed so you don’t necessarily need to depend on a single server to work with project files. Pro Git is an online version of an actual book, Pro Git , by Scott Chacon, that’s gotten a lot of good reviews. Git Reference, which is what it says it is, by the Github people (see below). Github is for “social coding”, meaning it gives you public repositories for free (for private space, you need to buy a service), and it got some shout-outs. Alternative repository hosting at RepositoryHosting.com; $6/month for 2Gb of storage, flat rate with extra storage available at $1/mo/Gb. Or, said one comment on Reddit: use use git as a dropbox repository. The link is to an as-yet not functional tool to do just that, more or less. Also noted was Prgmr.com, which offers VPS services. That is, virtual servers, since the discussion is about using a file server service (Dropbox). I got interested in the possibility of learning Ruby after seeing Ruby for Kids: teach programming by writing games in Ruby on Reddit last month. Ruby for Kids. It’s just a website with links to various other places, like Gosu, which is a 2d game library for Ruby, but also with some screencasts intended to get you started. Suggested by a Redditor, “Hackety Hack will teach you the absolute basics of programming from the ground up. No previous programming experience is needed!” Just my kind of thing. Seems to be a package with all the bits you need to get started. Quby also looks kind of interesting, presumably it’s based on Ruby, but I haven’t had much time to dig in. Mostly for playing games, which is fine. Finally, here’s another Reddit post that could be helpful as well: I wrote a Ruby script modeled after today’s XKCD alt-text, but also as an inspiration for the kind of program that regular people might decide to write. Ran across this item from the NYT: Tip of the Week: Running Windows Diagnostics. Having done support on early versions of Windows back in the 80s and 90s, I can recall the goggling/boggling of users being told that they should try running some Microsoft diagnostic or other on a regular basis. Really? Isn’t the computer supposed to do those repetitively tedious chores? I’m pretty sure I’ve linked to this article before, but here it goes again: Things I can do in Linux that I can’t do on Windows. Yes, it’s a bit dated, but I think the first three items in the list make a pretty good case for Linux. Also, for teh lulz, check this out: Chain of Fools : Upgrading through every version of windows (HQ). There’s a video to link to, and a discussion of the nostalgic appeal of running through those old, endless, installs. Emacs really is quite an extraordinary program, and there are many who have used it extensively over many years. There’s a lot of cool things that have been invented to take advantage of the Emacs environment. For example, there’s this: Emacs Artist Mode (link to article in MetaFilter). The underlying link is to a screencast that shows just how cool it is to be able to create graphics, albeit just ASCII-mode character-based graphics, with a mousepointer in Emacs. I see that, and think to myself, that’s one of the coolest things I’ve seen in a while, and I don’t even know why–but it makes me wish for it when I’m writing comments in programs, or just typing out simple documents. If you read the comments at the MetaFilter link, you’ll find some witty repartee among text-editor afficianados who argue the merits of vi vs Emacs (vs a small minority who like various others), those exchanges often comprising years of editor-prejudice. It’s sort of comforting to hear that almost ritualized tribalism among people like me, who have worked in the business for years. Also, various actually helpful tips and links, for example to other Emacs functions, as well as the inevitable Emacs-related cartoon. That the cartoon linked to was not this tells me something important: this is not a gathering of wannabe-old-time computer guys, this is an actual gathering of actual old-time computer guys. It’s an in-joke which can be appreciated on multiple levels, but which would likely only seem moderately amusing to the uninitiated. I’m beginning to notice that kind of barrier imposed on those who seek the higher levels of knowledge: you have to figure it out for your yourself; it’s not good if just anyone could click a button and start using Emacs. It wouldn’t be the same, but it wouldn’t make Emacs easier to use. If it’s easy to use, it general isn’t much use as a real tool as opposed to a simple-minded notebook application. It was easy to click on the link and watch the screencast, but then I decided I wanted to at least look at the code for the thing. And realized that I wouldn’t be offered a simple button to click to get the code or even to browse it. I’d need to get to know the program git a little better. Which is fine, because I think you need to know about version control if you’re going to do anything meaningful related to computers, and it’s on my list anyway. But there was a lot more interesting stuff at that website, and I hope to explore it some more once I figure out how to use git and what exactly I’d be looking at. Just some guy, Seong-Kook Shin, who presumably is interested in getting things done with the computer and with Emacs. If you’re interested in more about the code and the guy, you’ll have to be interested enough to have already read this far, to have a real interest in it, and the willingness to learn how to do it all and what to make of it. I hope I’ll get there soon, myself.